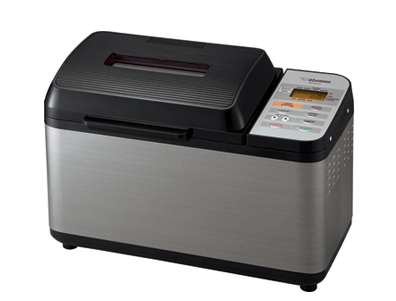 The Home Bakery Virtuoso® Plus Breadmaker bakes a traditional-shaped 2-lb. loaf of bread automatically. Dual kneading blades and additional heater on the lid ensures thorough kneading and even baking. Expanded healthy course options include Multigrain, Whole Wheat, Rapid Whole Wheat, Gluten Free, Salt Free, Sugar Free and Vegan. Rapid courses allow you to bake a loaf of White or Whole Wheat bread in just 2 hrs. and 25 mins.